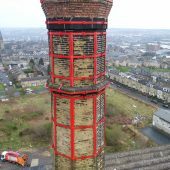 Drone chimney inspections are a continuously busy area of activity for us when clients call for drone high structure inspections. 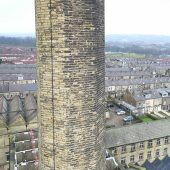 In Yorkshire, many of the old buildings are stone mills, created during the Industrial Revolution, so incorporate several dramatic high stone chimneys. 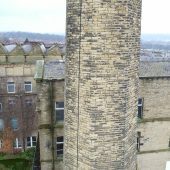 As the buildings are restored and gain new lives as offices and accommodation, the chimneys are retained as features that show the history of the building. 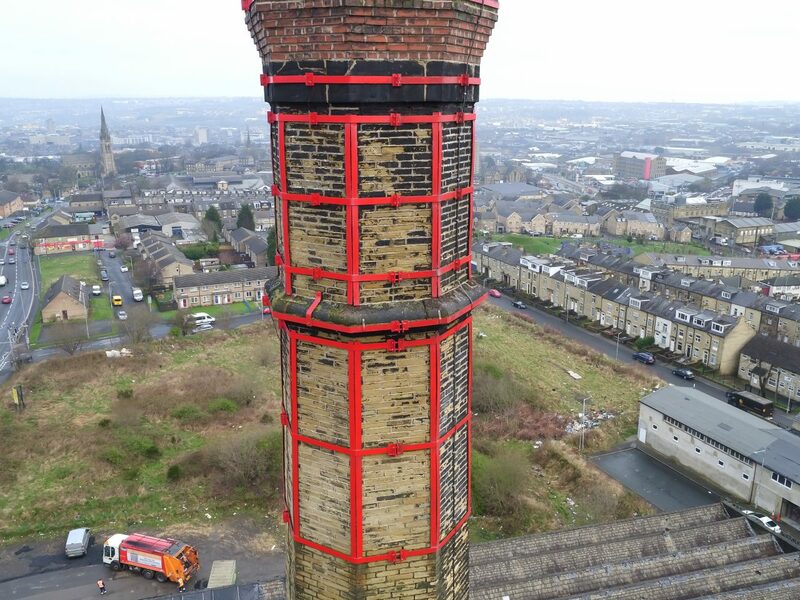 These chimneys require safety inspections, an exercise that was previously very expensive and time consuming. 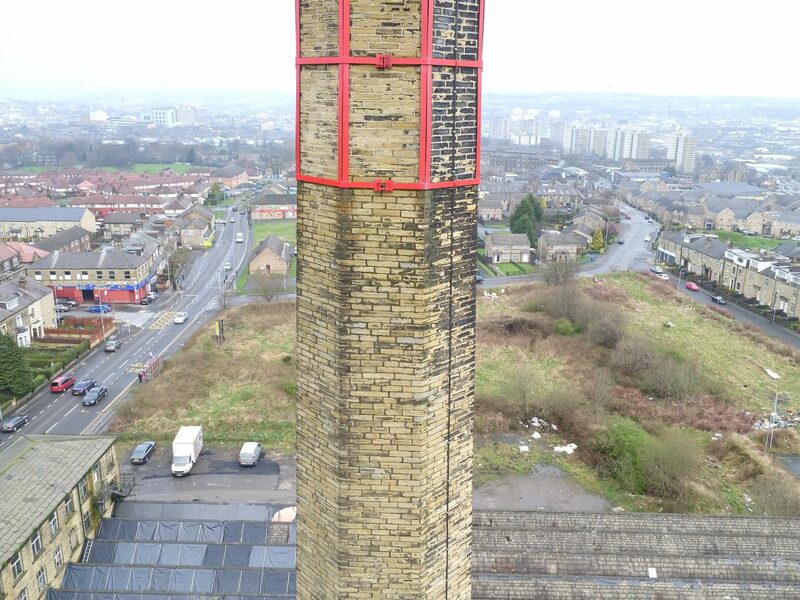 We work with developers and owners to provide cost effective drone high structure inspections. 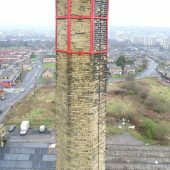 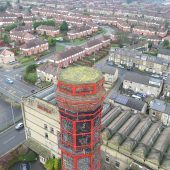 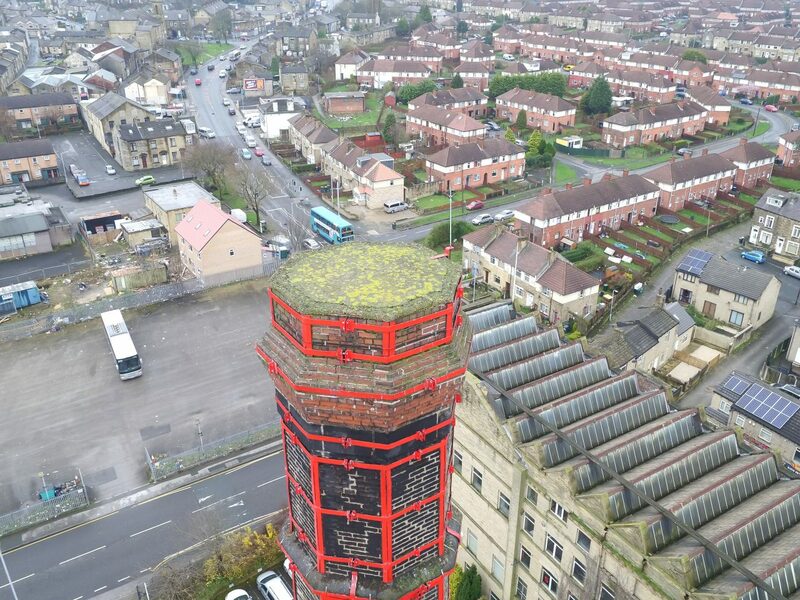 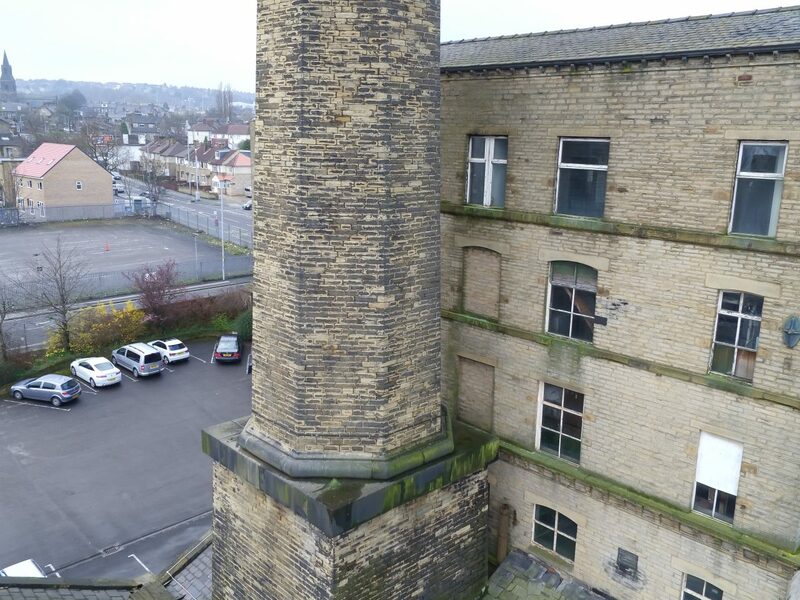 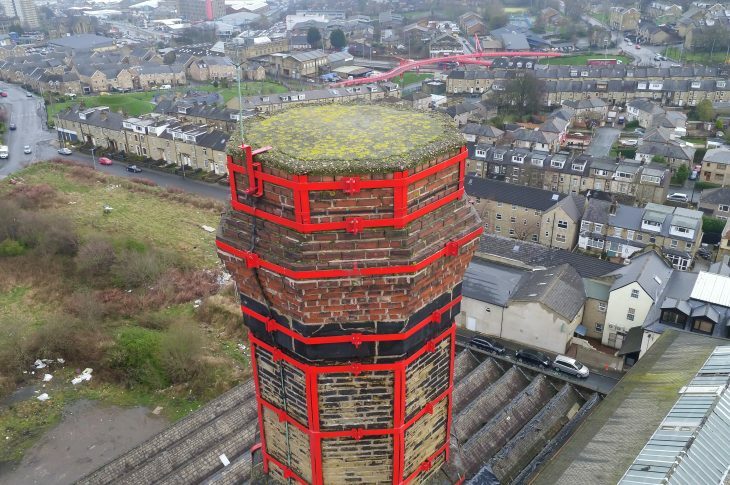 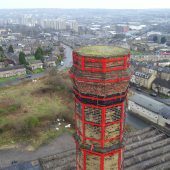 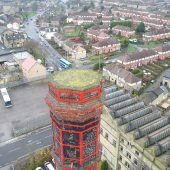 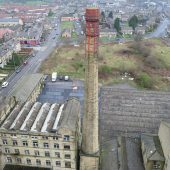 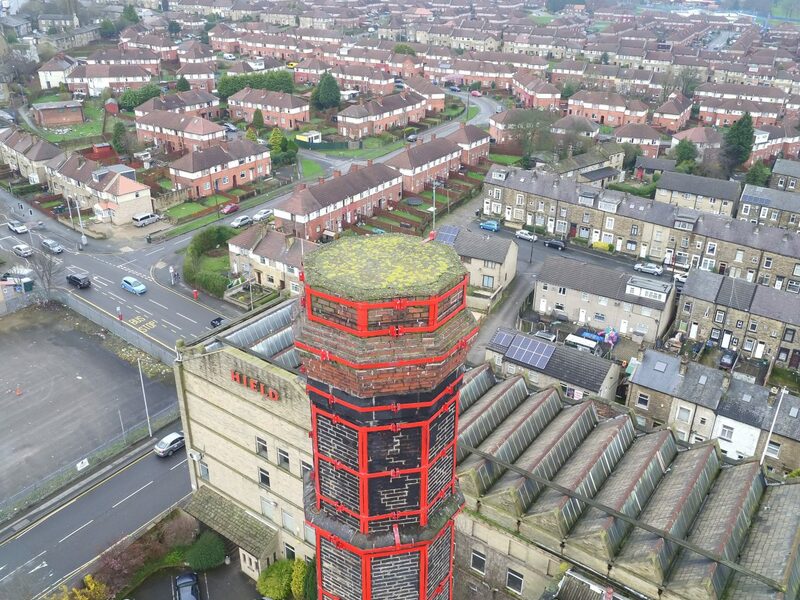 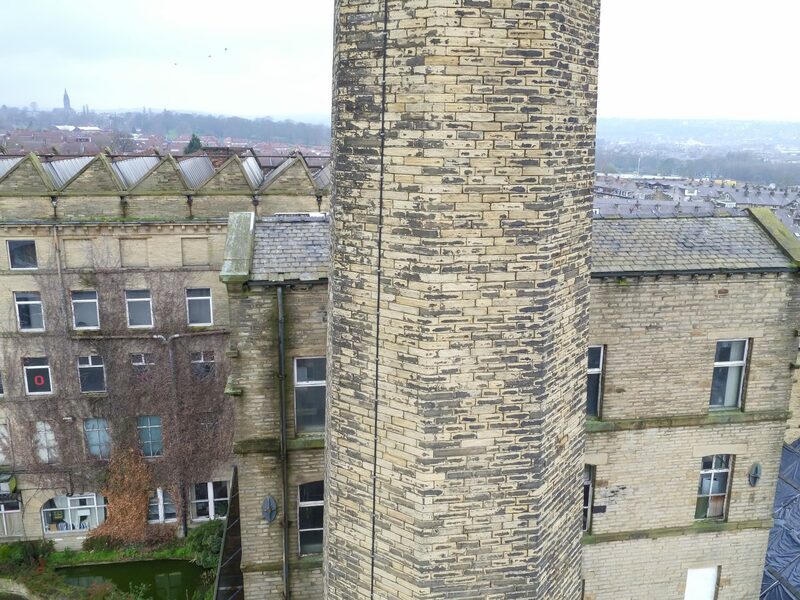 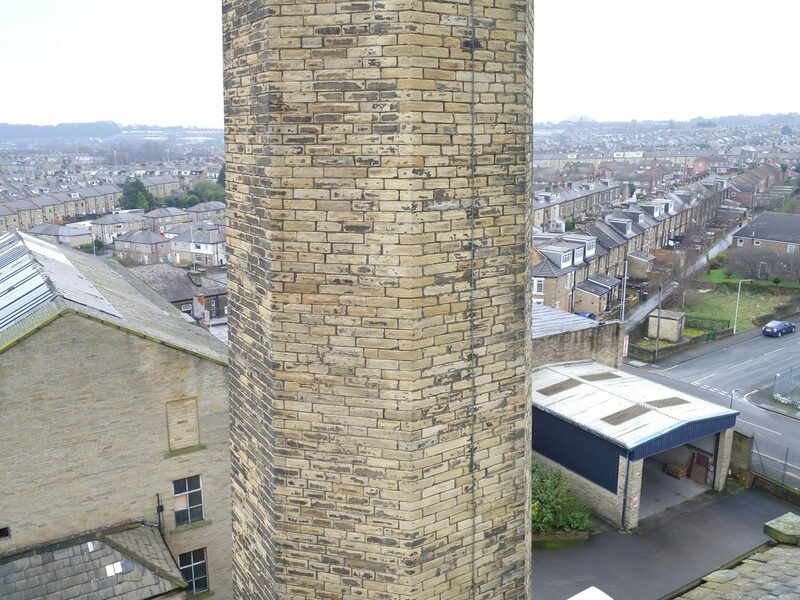 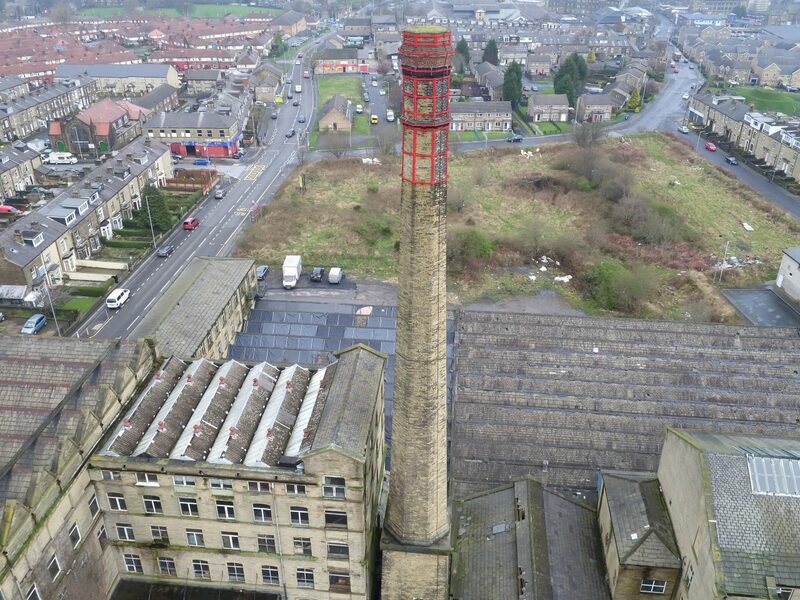 We recently provided detailed aerial images and a written report for a Chimney at Briggella Mills in Bradford. 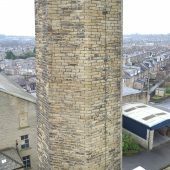 The client needed to know the current condition of the chimney to establish if any remedial work was required. 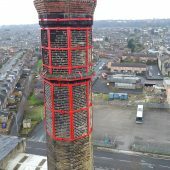 The professional grade drones used in this work are ideal for drone chimney inspections and for providing detailed information on the condition of high chimneys. 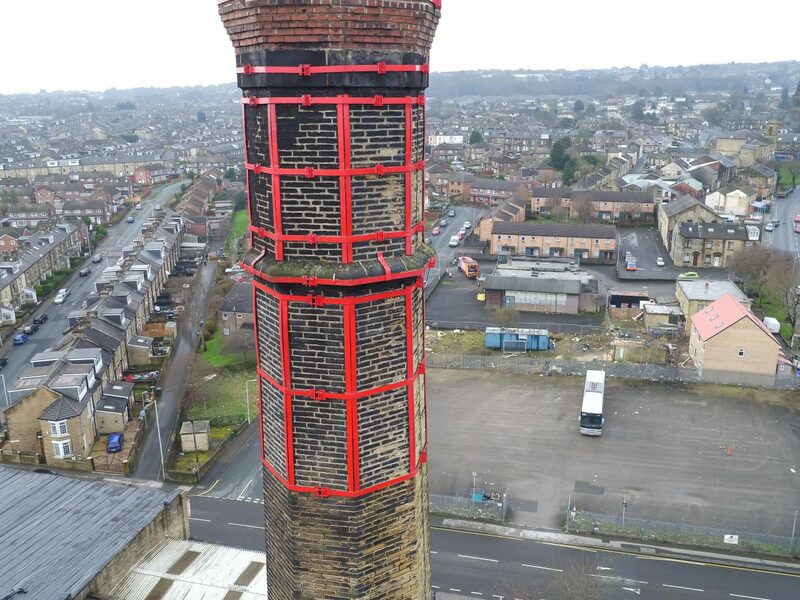 We work with an engineer who specialises in chimneys. 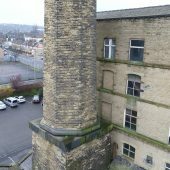 Using the detailed HD images created by the stabilised drone camera systems, he was able to provide the written report for the client. 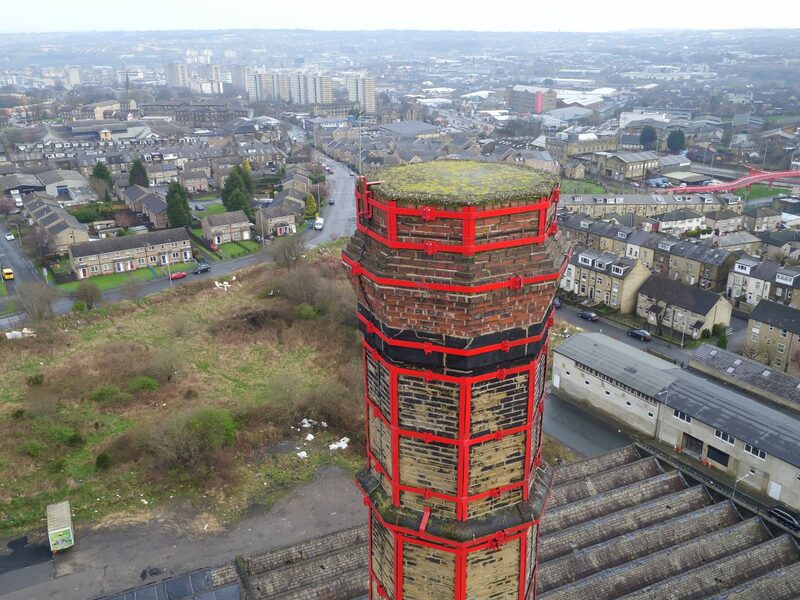 Because Hopgrove are fully certified by the Civil Aviation Authority for commercial drone filming work in Yorkshire, we are able to film from the air with all of the required permissions in place and ensure we are always legally compliant on site. 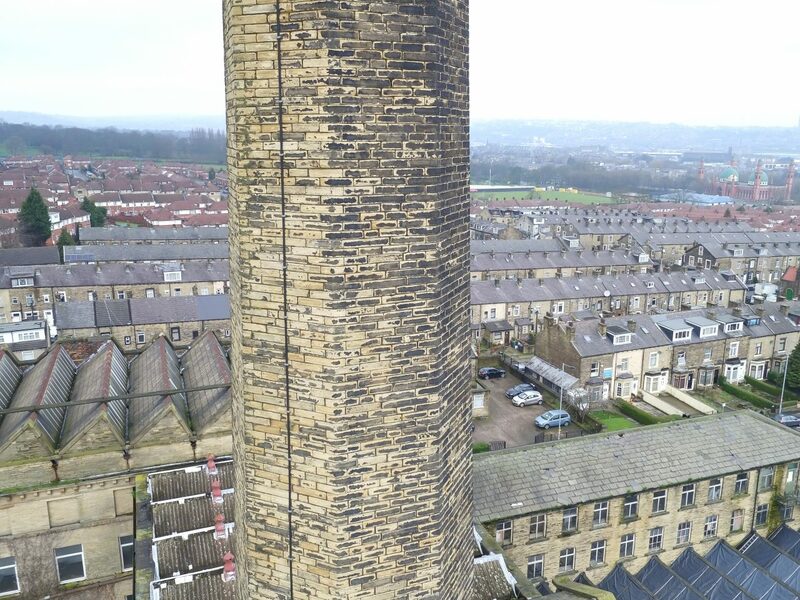 Together with the £10 million public liability insurance we carry and the CSCS certification for site safety, we were able to survey the high structure without the need for expensive scaffolding work in a fraction of the time it would have taken using traditional methods.